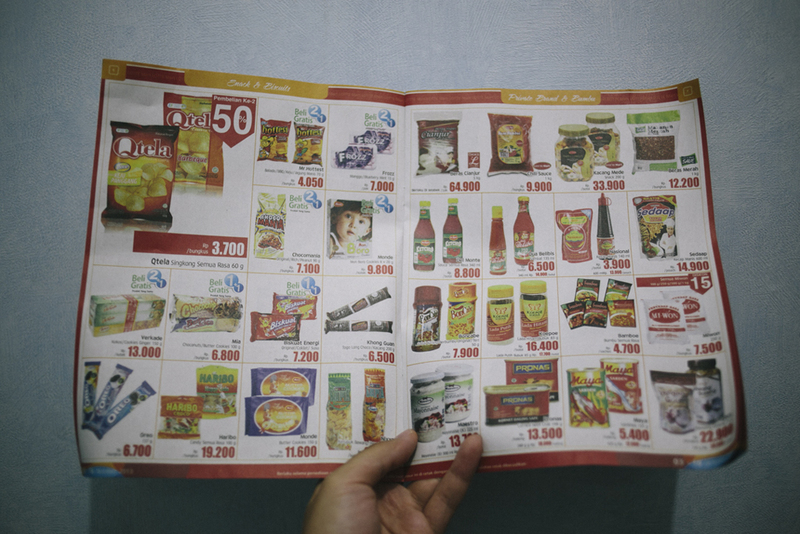 Above is a brochure that contains photographs of household goods and their respective prices. At its bare level, a photograph is a medium to convey information or to communicate. At a higher level, the photograph is a work of art – acting on itself or it could be modified so that it could act as a canvas. What we can all agree on is that the above is a photograph just like Robert Capa’s “Militia Man” and the pictures on your Instagram feed. How does one photograph differ than others? Why can’t I argue that the photograph above is in the same league of Capa’s death of a militiaman, or the more contemporaneous Michael Wolf’s? Like a work of art, a photograph has its own syntax and semantic value based on the elements in the photograph itself and the elements that provide the context of the photograph (as written and explained by Suryo Gumilar). My photograph might not be able to provide both values as much as Capa’s but we now know that to appreciate a photograph we have to look beyond the physical photograph itself into the contextual level of why the photograph is created. Indonesia in general did not have the appreciation to the photograph and if they did, it only reached out to the syntax value of the photograph and barely the skin of the semantic value, even when the information is readily available on the Internet. All parties were to blame; the viewers often did not understand what they are looking at, the photographers did not know how to appreciate their craft and the media depreciated the photograph by stripping it to a technical activity. Ironically, this is often done with the help of an accomplished photographer. One example that I could think of is Arbain Rambey’s column in Kompas Daily. Such a depreciation of photographs was not always deliberate but it merely followed the market interests – just like any other commodity. The depreciation of photographs resulted in the loss of visual reference. In a survey conducted by Kelas Pagi Yogyakarta, when asked to name their favourite photographer, most new students said Darwis Triadi – a household name that has not published any major projects for the last five years. Another example is the countless photographers who create images with the same elements as Rarindra Prakarsa’s salon photographs or the landscape shot of Bromo Mountain, or a black and white picture of beggars and street kids specified as human interest. Even the term “human interest” as a photography genre itself is jarring because it tends to be about the (sad) story stated by the photographer with the telephoto lens and less about the subject of the photograph. Another example is that the Indonesian public do not have the knowledge of the iconic images that signify the historical moments of Indonesia as a nation, since the Independence in 1945, the revolution in 1965 or the reformation era in 1998. We do not have it imprinted in our mind what images represent those times even though it was being published and/or exhibited many times. Towards the more popular culture perhaps is the uproar in Agan Harahap’s blog when he published the doctored photograph of him and James Hetfield. Most people were accusing Agan as a fake, unknowing that he had been doing similar work in the past. This lost of visual reference creates a generation of photographers that can only chase or emulate what have been done earlier and do not have the appreciation of a good photograph. In the end I would say that because a photograph was born from the combination of thinking and emotional process as well as mechanical skills in operating the camera, it should be unique upon each individual, as such the photographer should be able to have an deep understanding of his work. The process of creating a photograph should be followed by the process of valuing the photograph and continued by the process to explain to the public of why the photograph matters. There will always be critics of course, but a good photograph is a good photograph nonetheless and hopefully by doing so the photograph could worth more than just showing the price of a bottle of ketchup.